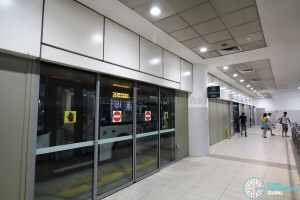 Ang Mo Kio Bus Interchange is an Integrated Transport Hub (ITH) located at Ang Mo Kio Town Centre, Singapore, serving residential and industrial areas around Ang Mo Kio and Yio Chu Kang. 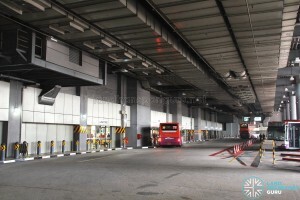 The interchange is the third air-conditioned bus interchange in Singapore, integrated within the Ang Mo Kio Hub development, and connected to Ang Mo Kio MRT Station via an underpass below Ang Mo Kio Avenue 8. 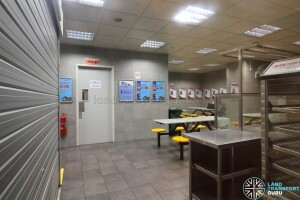 Nearby public amenities include Cheng San Community Centre, Ang Mo Kio Polyclinic, Djitsun Mall and Ang Mo Kio Town East Garden. 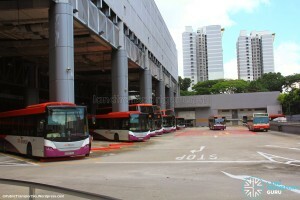 Ang Mo Kio Bus Interchange is a bus station located in the residential town of Ang Mo Kio. 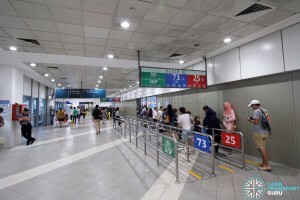 Connecting with Ang Mo Kio MRT Station along the North-South MRT Line, the interchange is a transport node for commuters heading in and out of town, allowing for convenient transfers between the rail network and the many bus services at the interchange. 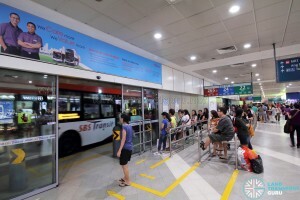 Opened in April 2007, Ang Mo Kio Bus Interchange was the third Integrated Transport Hub (ITH) to be opened in Singapore, after Toa Payoh in May 2002 and Sengkang in January 2003. 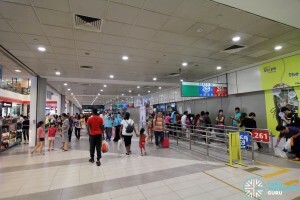 The interchange is integrated within the retail portion of the Ang Mo Kio Hub shopping mall, hence combining retail and transportation facilities under one roof. 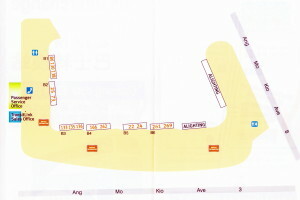 The interchange has a single vehicular concourse area which leads to Ang Mo Kio Avenue 8 via a traffic light junction. There are three alighting berths and six sawtooth boarding berths. 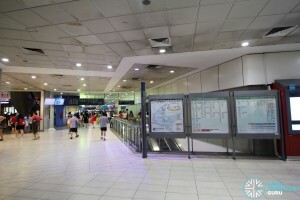 The interchange concourse has pedestrian entrance/exits leading to Ang Mo Kio Avenue 8 and the junction with Ang Mo Kio Avenue 3. 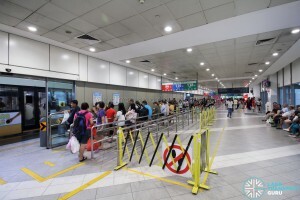 Additional entrance/exits located within the interchange link to the Ang Mo Kio Hub shopping mall and Ang Mo Kio MRT station. 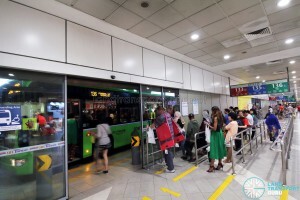 The building of Ang Mo Kio Bus Interchange was first conceived in the 1970s to support the expansion of Ang Mo Kio New Town, one of Singapore’s largest new towns in that era. Before the interchange, buses berthed at elongated bus stops along Ang Mo Kio Avenue 3 since 1976, near the present-day Block 322. 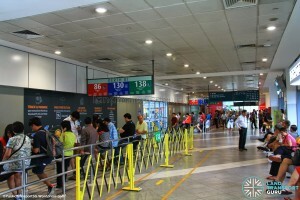 The terminal was later shifted to Ang Mo Kio Central 2 in 1981 to reduce congestion along the main road. 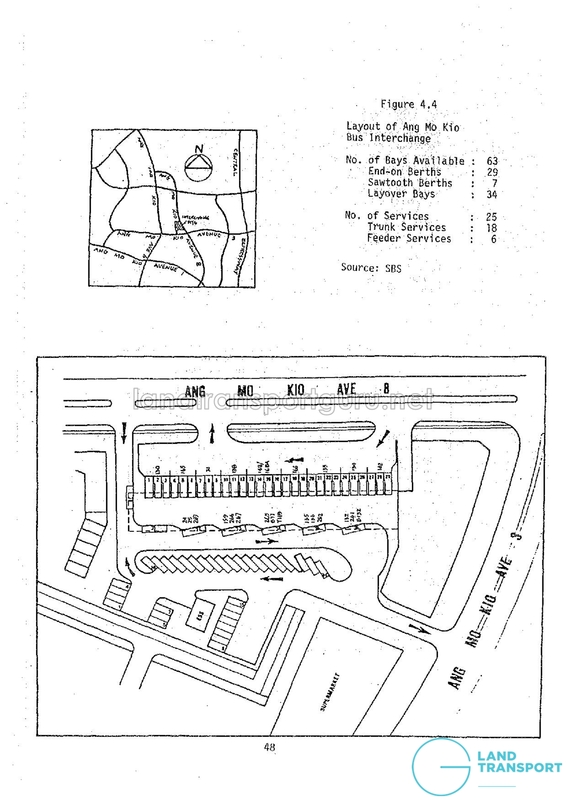 Other roadside terminals were also established in Ang Mo Kio to accommodate the growing number of bus routes. 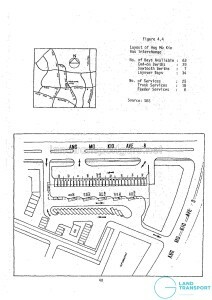 There was one at Ang Mo Kio Avenue 6, near Block 304 (later integrated into Ang Mo Kio Avenue 3), and others at Ang Mo Kio Avenue 10 (Block 555), Ang Mo Kio Industrial Park 1 and Ang Mo Kio Industrial Park 2. 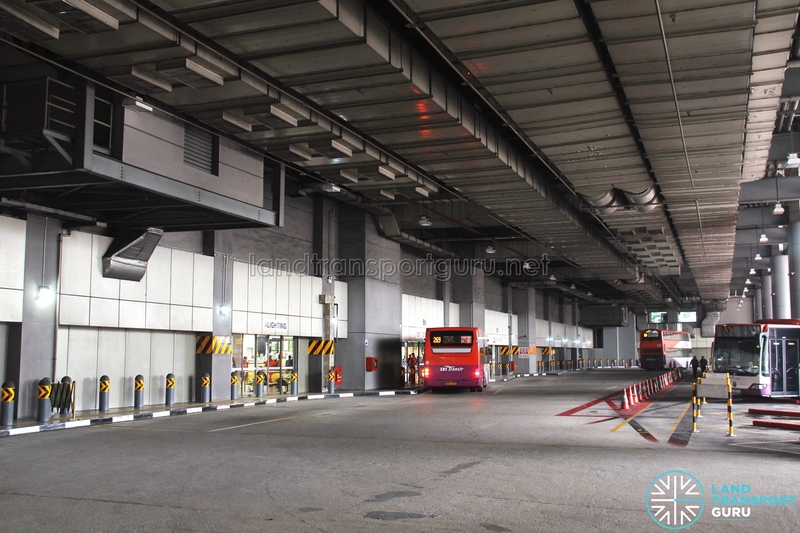 Opened on Sunday, 10 April 1983, Ang Mo Kio Bus Interchange was located at the junction of Ang Mo Kio Avenue 3 and Avenue 8, spreading over 14,000 square metres and boasting 36 boarding and alighting berths within a spacious concourse. 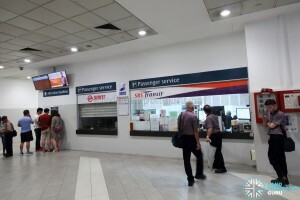 It replacing the many scattered bus terminals around Ang Mo Kio as the centralized bus terminating point for bus services terminating in Ang Mo Kio. 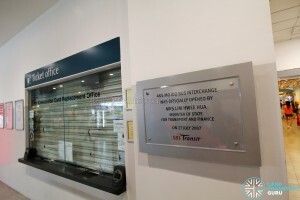 The interchange continued operations for almost 20 years until it was closed on 24 March 2002, where operations were moved to Ang Mo Kio Temporary Bus Interchange further north along Ang Mo Kio Avenue 8, near the Ang Mo Kio Library. 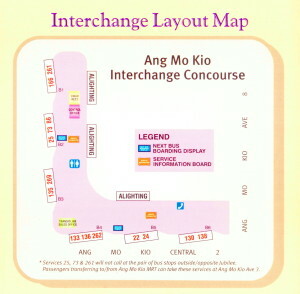 The existing interchange was demolished to make way for the building of Ang Mo Kio Hub. 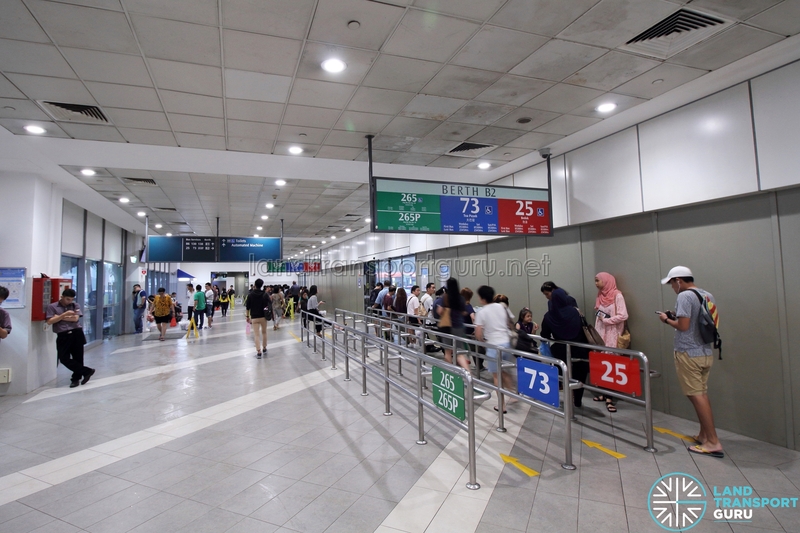 Originally intended to be operational for two years, construction delays at AMK Hub added two more years to its lifespan. 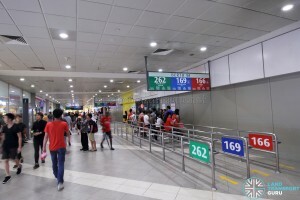 On Saturday, 28 April 2007, Ang Mo Kio Integrated Transport Hub opened on the original site of the old interchange, with a total of 36 bus parking lots and nine berths for boarding and alighting. 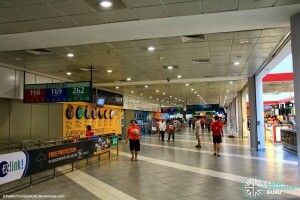 It is integrated within the retail portion of Ang Mo Kio Hub. SBS Transit and SMRT have Passenger Service Offices which are open throughout the day and handle commuter inquiries. Ang Mo Kio Interchange is fully integrated with AMK Hub, and retail outlets are available all under one roof. 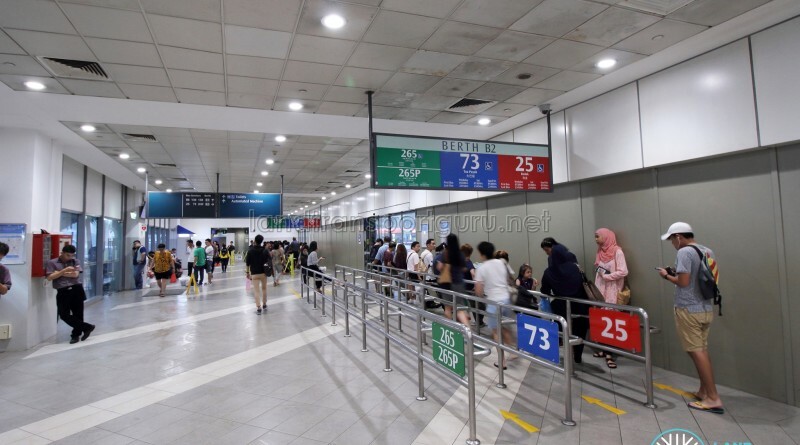 Service 265 calls at Ang Mo Kio Int as an enroute stop in both directions, but terminates at Ang Mo Kio Depot. 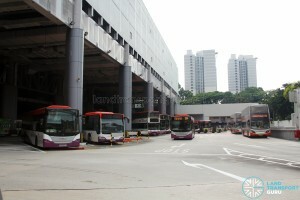 Ang Mo Kio Temporary Bus Interchange, which operated between March 2002 and April 2007. Photo re-used from Wikipedia. I would like to draw your attention to the long delay of bus 133 on 28 June 2017. Service 133 was supposed to depart at 2037 hr as reflected on the information screen but it arrived at around 2100- 2105 hr. May I know why is the information not updated when it is supposed to be real time? Is it a very tedious and inconvenient task just to update the info? Everyone in the Q was made to waste about 30m of their time for nothing. You could at the very least just make a short announcement/get a staff to go to the Q to inform pax and update the info screen so pax can have the option to choose an alternative travel mode/route. I think this is very unacceptable service rendered by SBS Transit. You do not keep customers waiting for nothing when there are ways to communicate the delay! At least SMRT make regular announcements when there is delays.